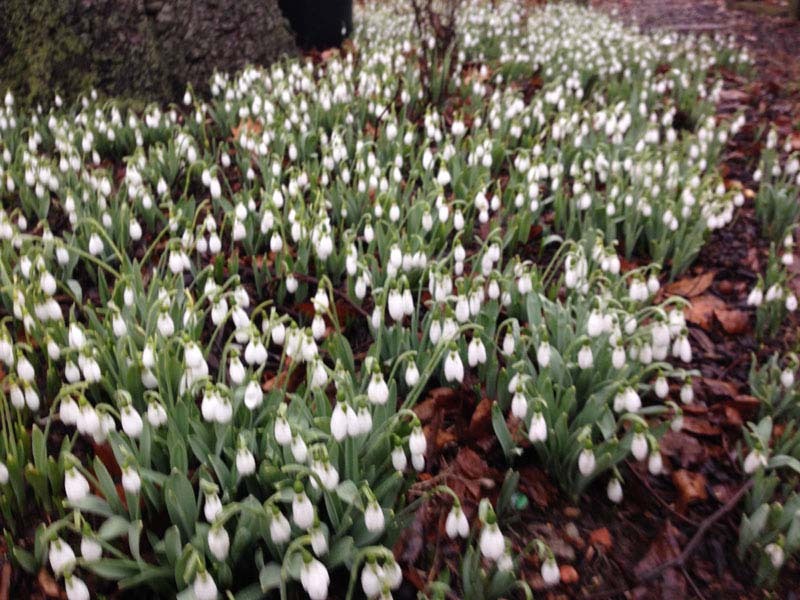 Our Snow Drops are in full bloom in our backyard right now! 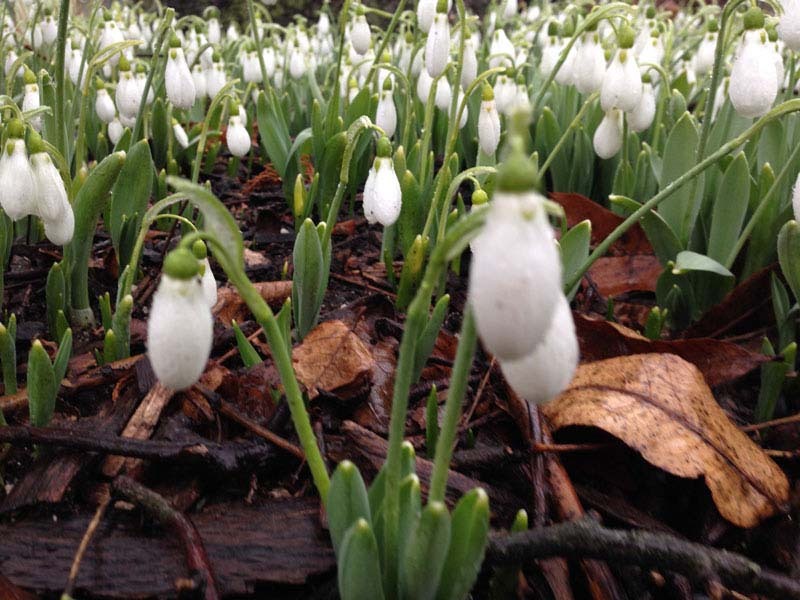 Here are some photos of how they look. 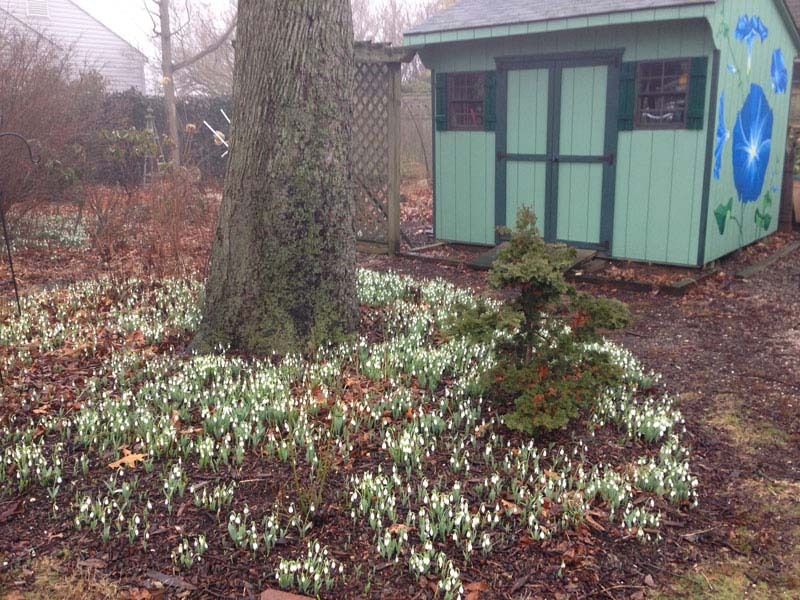 Snow Drops in the back corner by the shed. 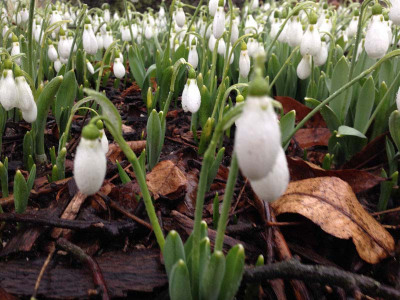 Close up photo of the beautiful Snow Drops. Snow Drops growing at the base of one of our trees in the backyard. 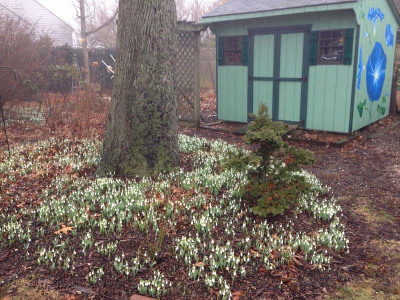 Posted in February Blooms, Our Garden, What's in Bloom and tagged Garden Tour, Gardening, Gardens, LI, LI Gardening, Long Island, Our Garden, Perennials, Snow Drops, Spring, VanDyke, VanDyke Gardens, VD Gardens.